You might have noticed that we are having a little bit of an obsession with marble at the moment! These marble effect, cork backed coasters certainly float our marble boat! 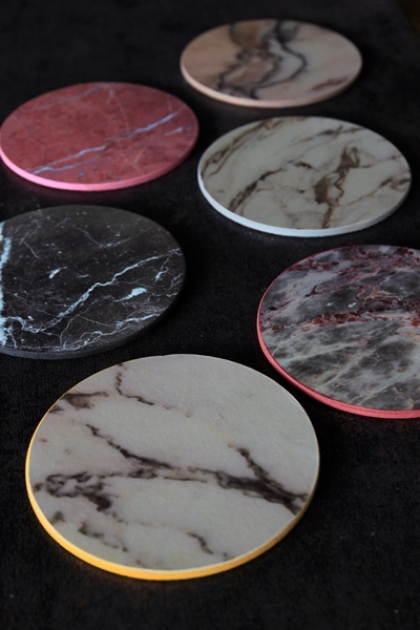 The simply beautiful marble effect coasters come in a set of six in various colours.